Art Asylum reports that Diamond Select Toys has secured the license for Lenore, the cute little dead girl. 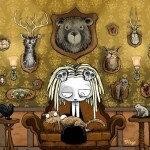 Diamond Select Toys, the Maryland-based collectibles company that is quickly becoming known for their supernatural product lines, has secured a new license: Lenore, The Cute Little Dead Girl, from creator-writer-artist Roman Dirge. Celebrating her 20th anniversary next year, Lenore has been the star of her own comic book and animated series, and will soon be the star of a diverse product line from DST including action figures, MiniMates™, PVC figurines, banks, bottle openers and ice cube trays. 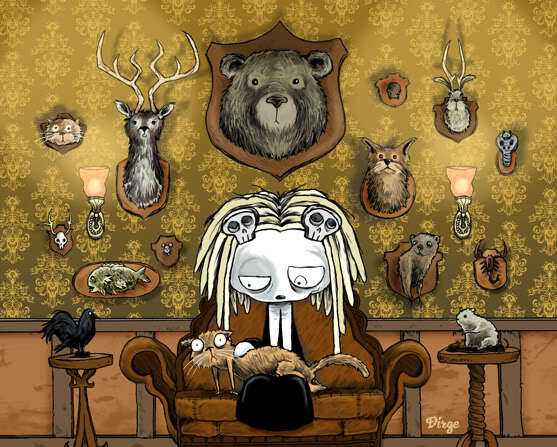 “I have been working on numerous new Lenore comic books this year and I am excited to see her popularity continuing to grow,” stated Roman Dirge. “Diamond is in touch with Lenore’s fan base and I am looking forward to working with them to develop some great new Lenore products for her fans. With the feature film in development, I believe Lenore is on a course for phenomenal growth. Inspired by the eponymous poem by Edgar Allan Poe, the character debuted in Xenophobe magazine in 1992 and received her own comic book from Slave Labor Graphics in 1998. In her adventures, the undead, homicidal waif wanders in and out of people’s lives, wreaking havoc everywhere she goes, and the comic was turned into a web cartoon in 2002. More recently, Lenore Volume II began publishing in 2009 from Titan Books, and a CGI film adaptation is in development with Neil Gaiman (author of Coraline, the comic book series The Sandman, and novels Stardust, American Gods and The Graveyard Book) set to be executive producer.